1972 Pro Street Chevy Vega Fresh Start Up after Rebuilt!! Check this wicked 1972 Pro Street Chevy Vega Fresh Start Up after Rebuilt!! A few people know the feeling of the initial start of a project car, which has taken many of the weekends and afternoons in order to be done properly, and they will especially appreciate this video, of a 1972 Pro Street Vega, which is waking up for the first time. The Vega in question has been modified extensively as you would expect from a Pro Street car, and at the moment it is ready for the first “baby” steps as it fires up the engine for the first time. As you know, there is still a lot of work to be done before it can be roaming the streets in a safe matter, but one of the coolest things about this video comes to us from the commentary section. A certain Tony Z, has told us that this has been his Vega which he recently traded to a different owner, which we are pretty sure is quite happy with it these days. Check out this video and don’t forget to turn it up. 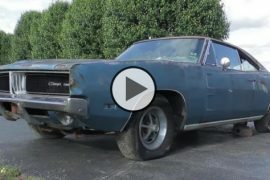 Abandoned 1969 Dodge Charger Runs After 20 Years! Street Outlaws Last Man Standing!! 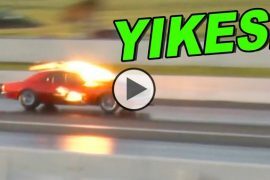 Monza Twin Turbo Camaro vs Fireball Camaro at Memphis No Prep Kings Season 2!! 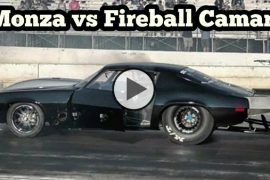 Previous articleLegendary Chevy Chevelle vs Dodge Demon – drag race!! Next articleOutlaw Big Tire No Prep Drag Racing at Ozak Raceway Park!! FNA Testing With Lutz and The 57 Beast in Mexico! !